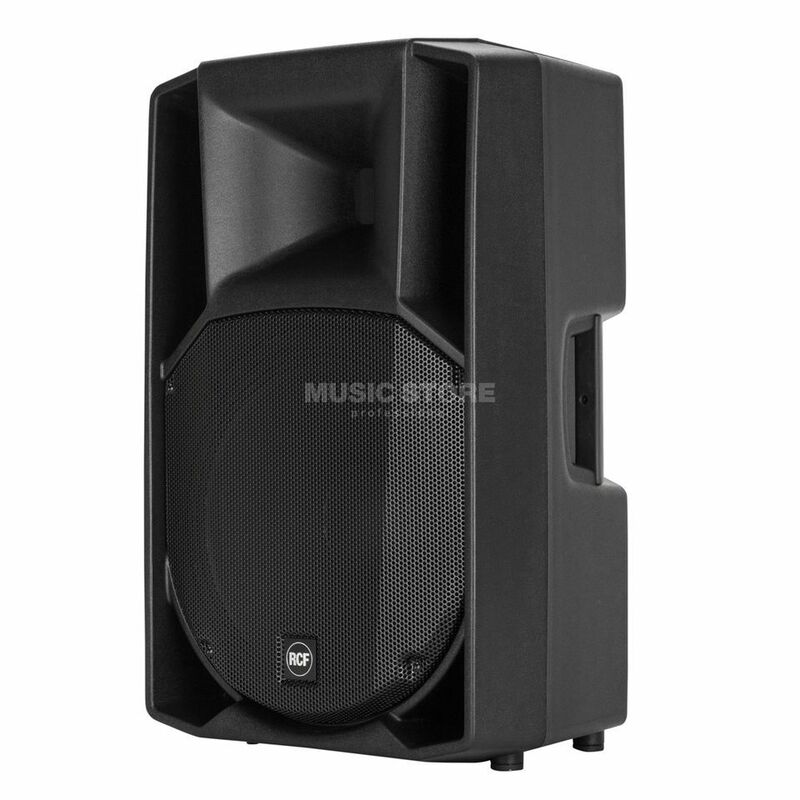 The RCF ART 715-A Mk4 Active Speaker 1400W is an active 2-way speaker featuring a 45Hz-20kHz frequency response and maximum SPL of 130dB. The 1" compression driver offers unique vocal clarity and sound projection whilst the 15” woofer offers an extremely linear response and a precise, deep low frequency control. The amplifier delivers 1400W of peak power output and is controlled by a DSP that takes care of crossover, equalisation, phase control, soft limiting and speaker protections. This class-D amplifier delivers an ultra-fast attack, realistic transient response and impressive audio performance. Designed using FiRPHASE, this speaker offers proprietary and advanced FIR filtering technology, conceived for delivering transparent sound, absolute clarity and perfect stereo images to the listener. Equipped with both XLR I/O connectors and a jack input for the maximum versatility, the ART speakers have a switchable EQ mode that makes it easier to select among two different equalisation presets. A useful mic/line switch helps for adjusting the input sensitivity. An easy to reach volume knob on the back allows you to set the overall volume of the speaker according to its application. At the bottom of the speakers is a robust steel pole mount that allows placement on a stand or on a subwoofer with full safety and stability.